Since I had scoped out the Mall and Buckingham Palace the night before, I knew there was no way I was going to get a glimpse of anything royal. Nonetheless, my plan was to descend into the crowd with a good spirit and a bottle of cava. In the morning I called my friend, Vanessa, and we decided to meet up at Hyde Park. 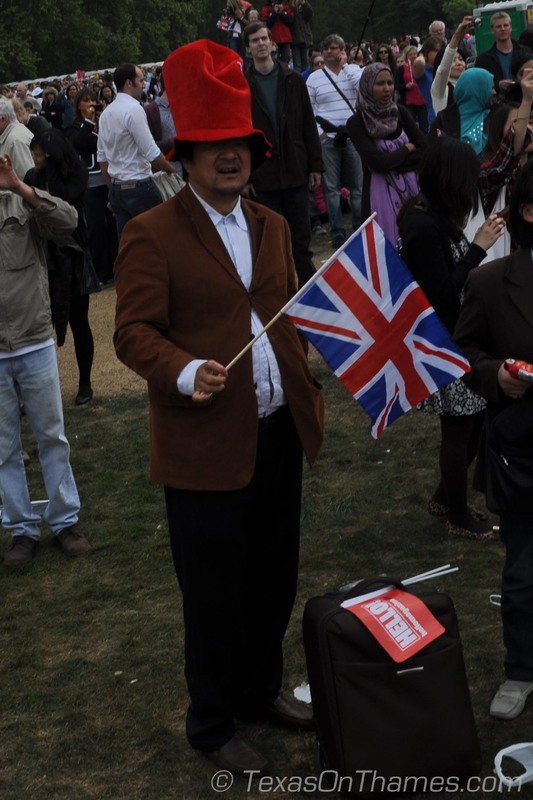 St James Park was already full and Hyde Park promised jumbo screens of the events and port-a-loos. 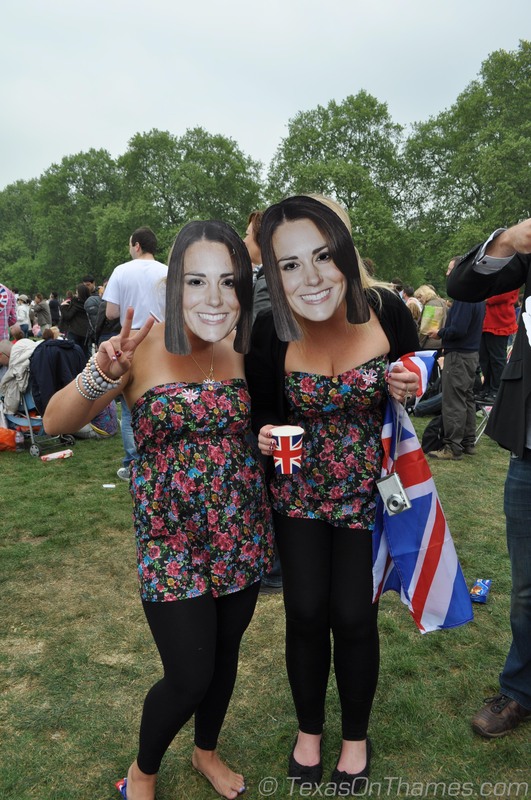 Whether or not you agree with the monarchy and the royal family, it’s great to see everyone get together and celebrate. It’s nice to have a community vibe for at least a day in a big city where we are most often in each other’s way. Straight off the plane with suitcase in tow. 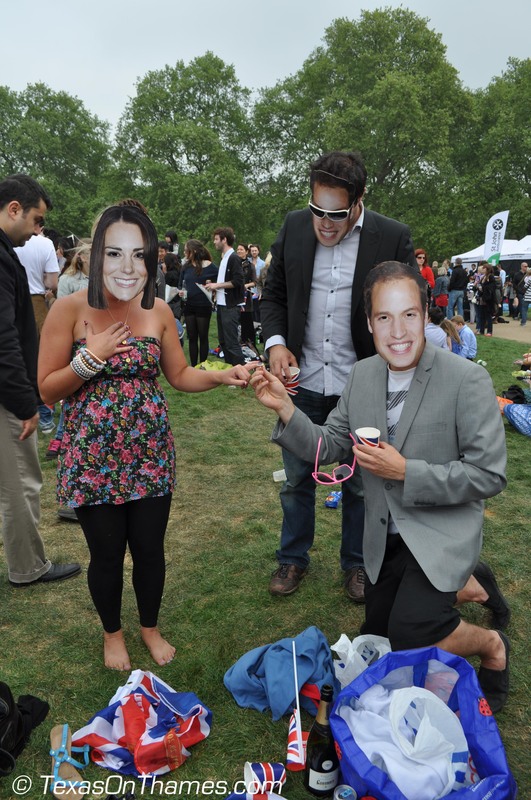 There were people dressed in bridal gowns and tons of Will and Kate look a likes. 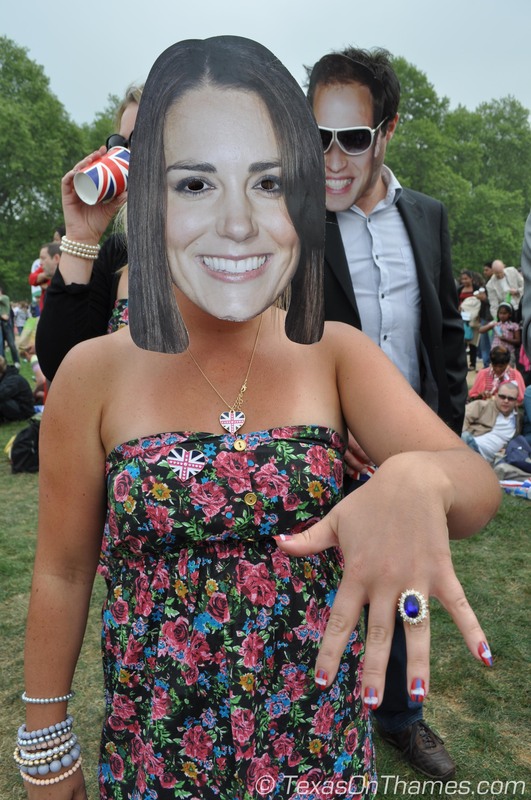 Vanessa’s flatmates were well prepared with Will and Kate masks, the ring, and matching outfits. They were a huge hit with the rest of the crowd and you can see why. 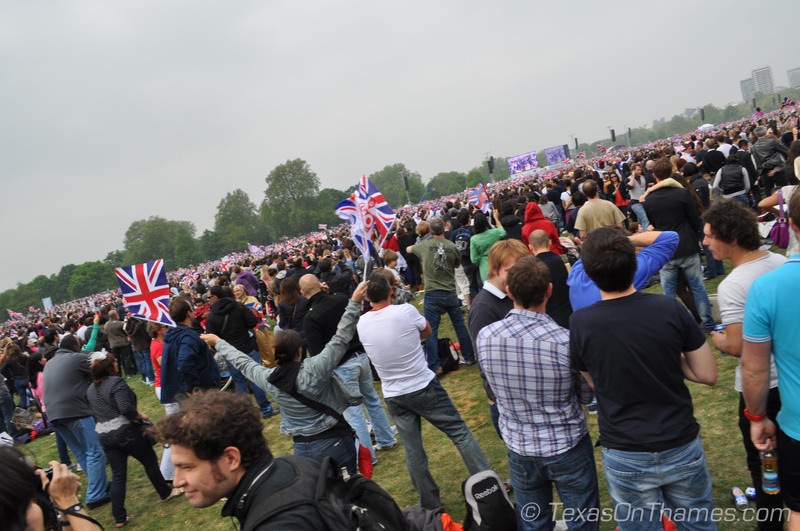 I didn’t see much of the royal kiss from my position in Hyde Park. In fact, I bent down to fix my shoe and I missed the first kiss entirely. 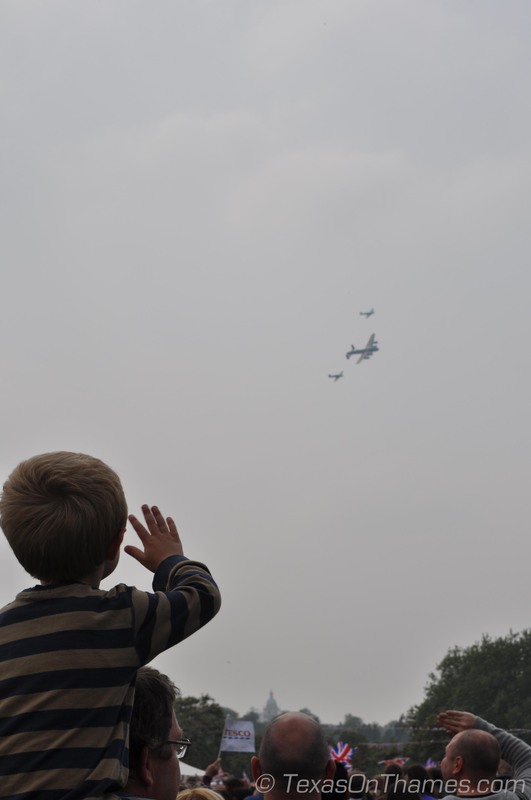 The jet flyover that accompanied the kiss was visible from Hyde Park and made everyone feel like part of the experience. Best of all, it didn’t even rain like the forecast predicted. I can’t wait to do it again for Harry’s wedding. I’m considering Will’s wedding a great practice run.